The DOCX file extension is used for Microsoft Word Open XML Format Document files. The Open XML format was introduced with Microsoft Office 2007. It is a compressed XML-based file format developed by Microsoft and adopted as an international standard. GdPicture.NET offers the possibility to work with DOCX files without the need for Microsoft Word to be installed on the computer. Develop high performances standalone applications with GdPicture.NET to open, read, print, and convert DOCX files. 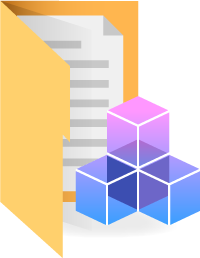 Go further with DocuVieware: view, annotate, and manipulate Microsoft Word Open XML Format Document files on any platform, including mobile devices. Note: DOCX support in GdPicture.NET is thread safe and independent of applications like MS Word and OpenOffice.org. Use the DocuVieware demo below to see how a DOCX viewer can be integrated in an existing content.